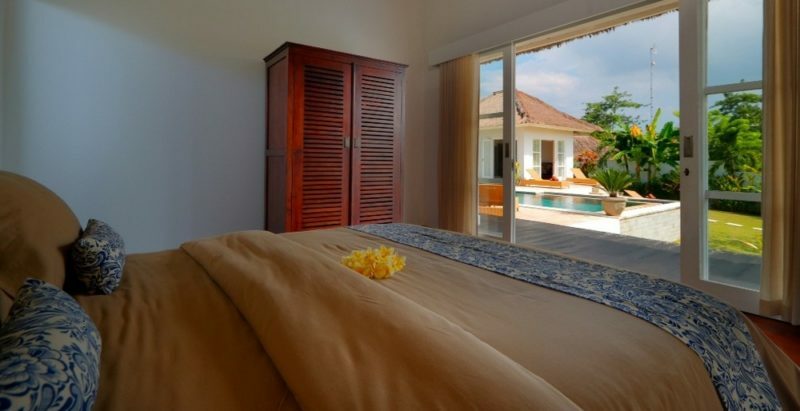 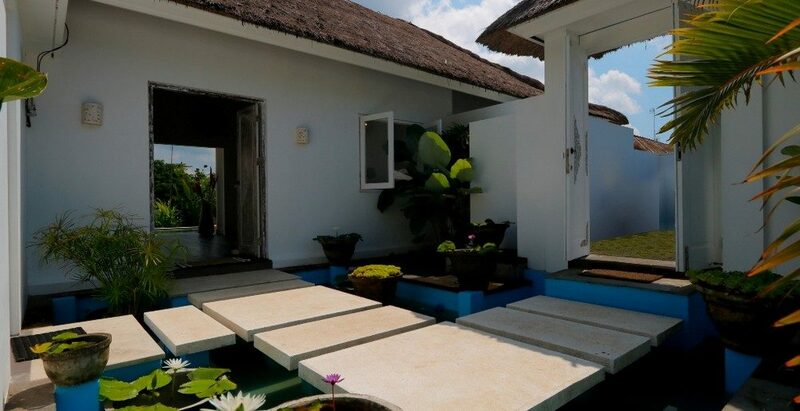 With three bedrooms, semi open kitchen and living area as well as a private swimming pool, our villa combines fresh outdoor air with indoor comfort, and traditional Balinese decor with modern amenities. 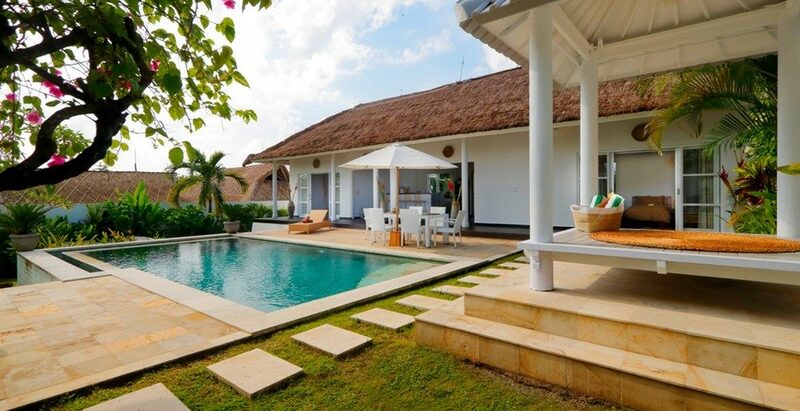 Villa Moana Poe is well located for those who wish to explore the Southern peninsula of Bali/Uluwatu area, with easy access to the island’s best white-sand beaches and panoramic clifftops. 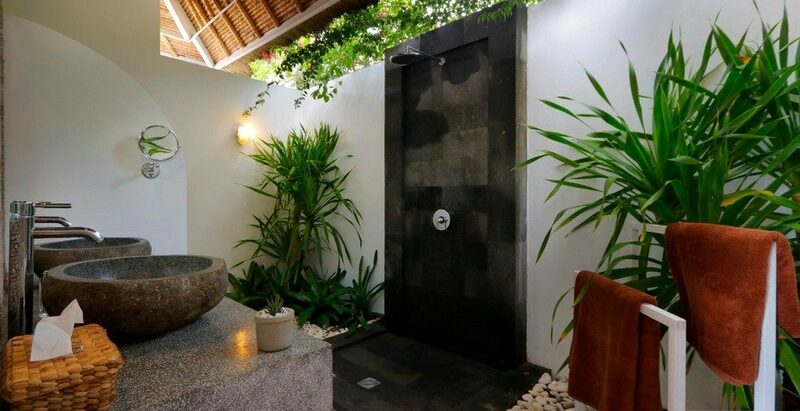 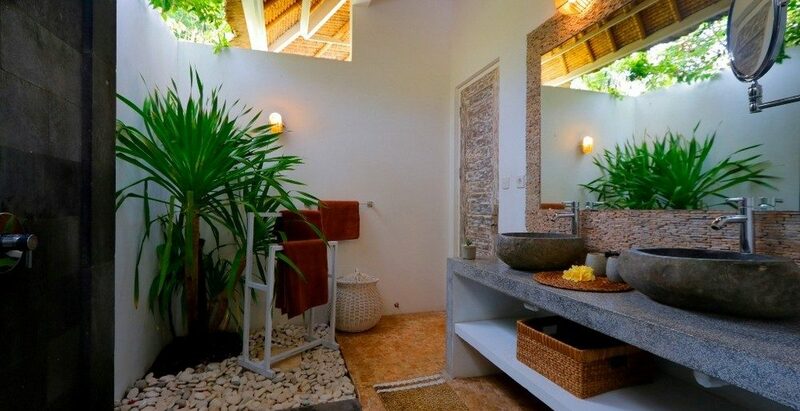 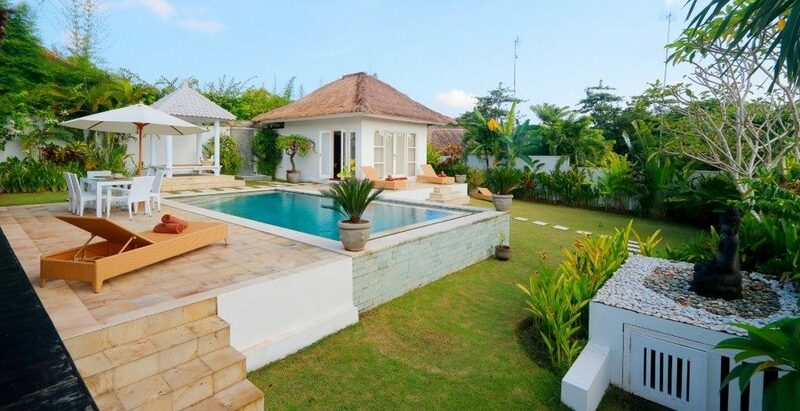 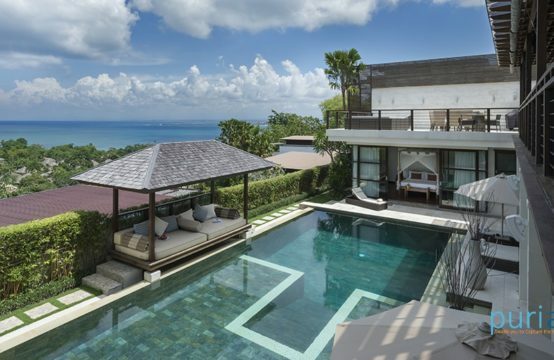 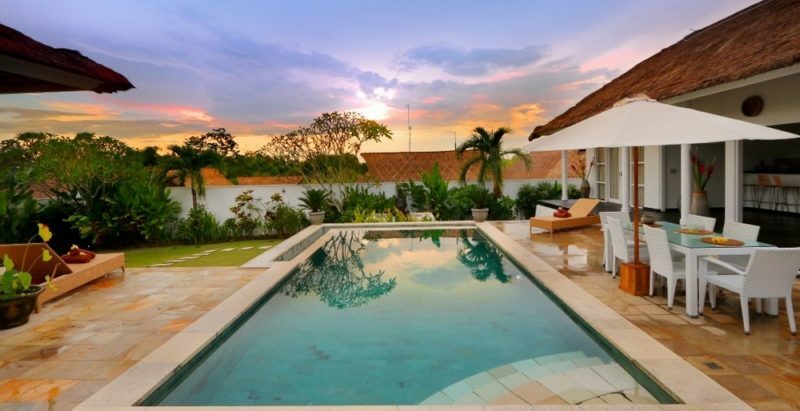 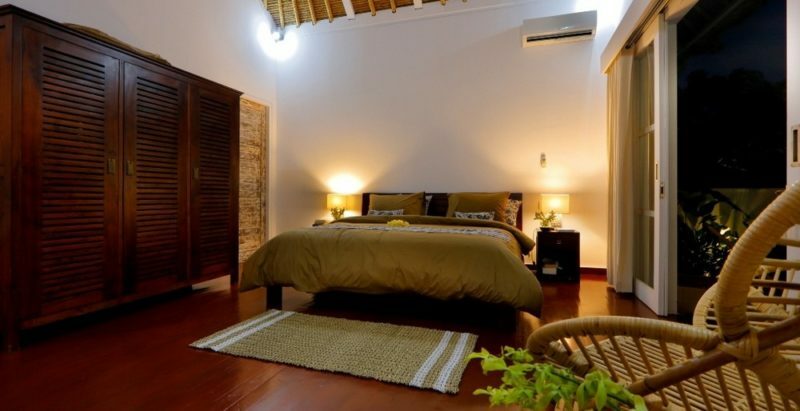 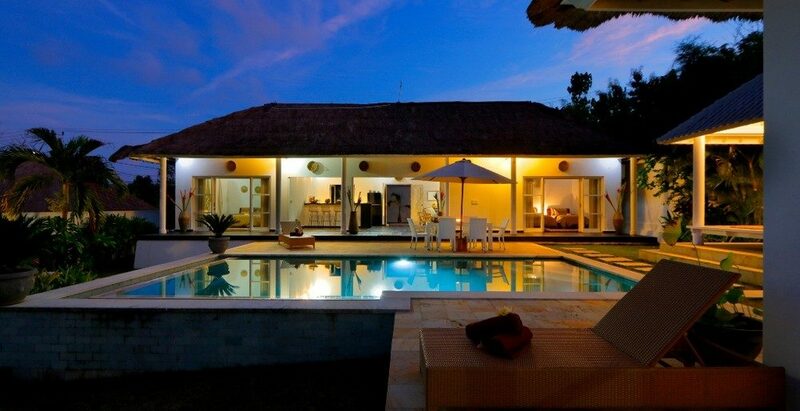 The 3-bedroom villa features a private pool set amidst lush tropical garden. 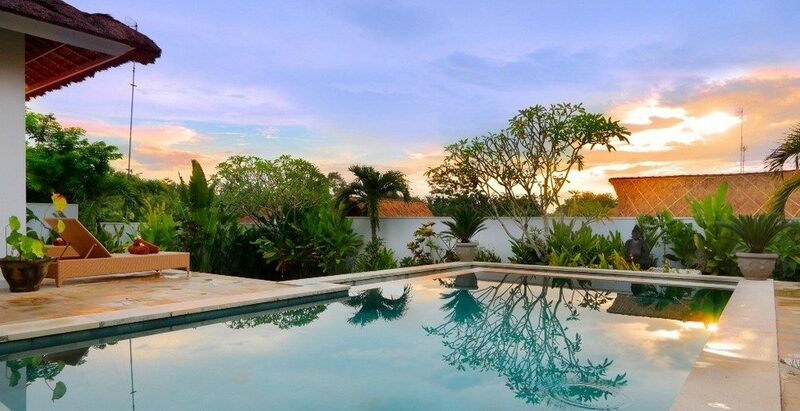 Bask in the sun on the loungers, enjoy al fresco dining on the large patio or relax in the gazebo with a book next to the pool. 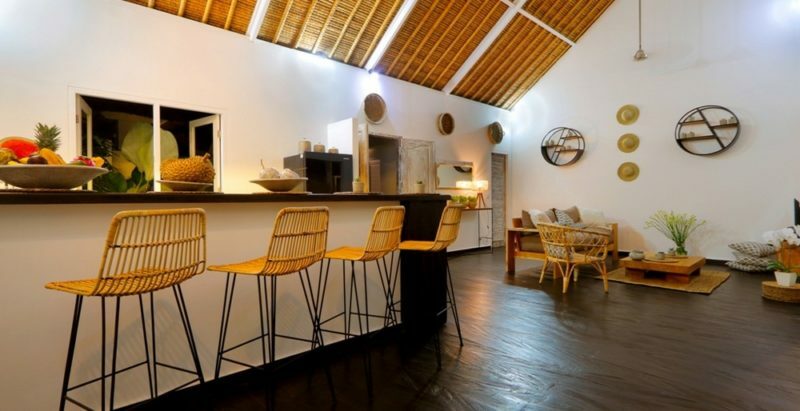 Raw materials and warm lighting characterize the villa interiors, which boast tropical-style decor with modern Balinese touches. 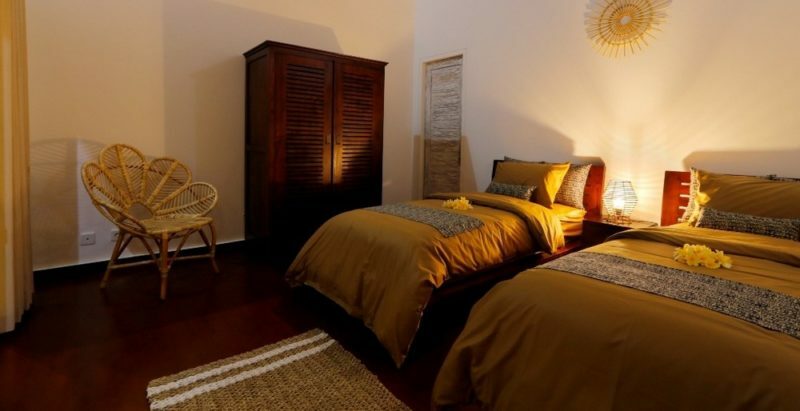 The fully equipped kitchen comes with essential facilities for those who prefer to stay in and dish up their own meals, while the living space next to it offers comfortable seating with plush pillows and a flat-screen TV. 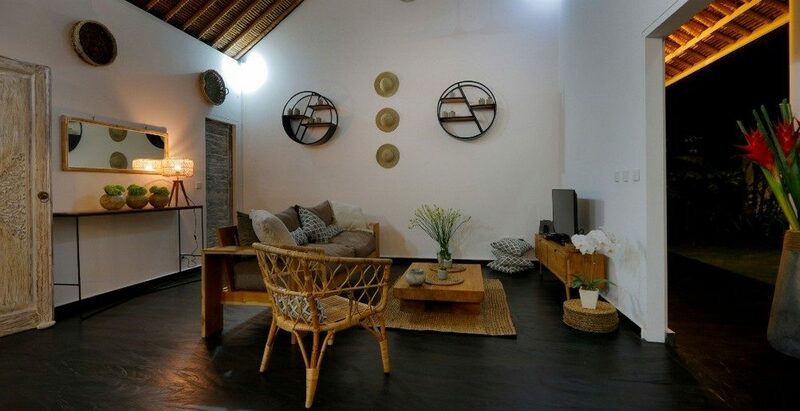 Perfect for a chill night in after a day full of activities with friends or family. 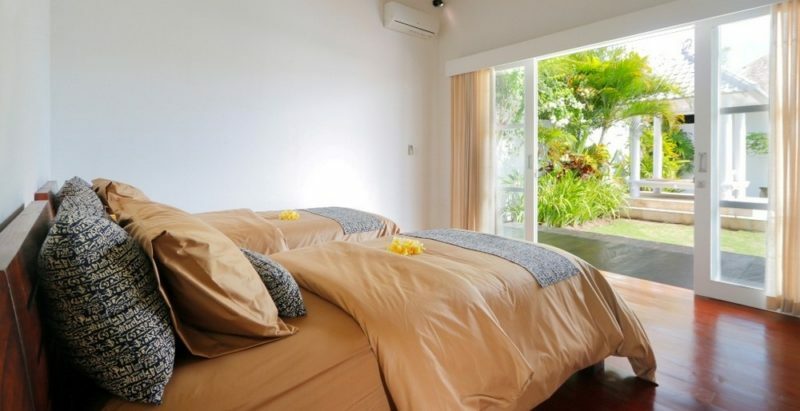 Fully air conditioned, each well appointed bedroom ensures a good night’s sleep and privacy with its own en suite bathroom, where you enjoy fresh showers under the sky. 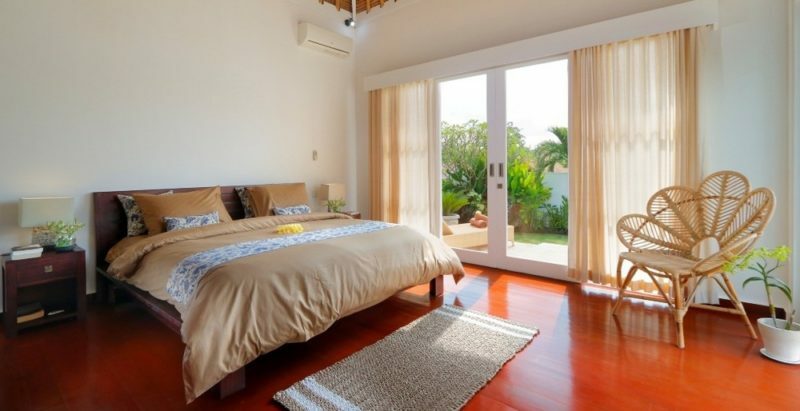 All bedrooms are fitted with floor-to-ceiling, glass sliding doors that open onto the private pool and tropical garden.